Click the following link to be redirected to MOVE HOME TOWN OF STE. ANNE. Town of Ste. Anne office is open Monday to Friday from 8:00 am to 4:30 pm. 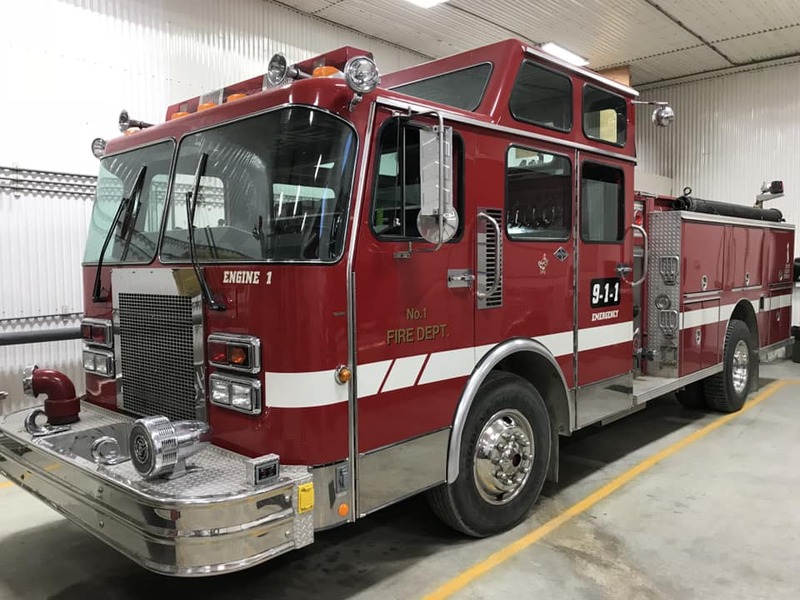 Annual Spring Road Restrictions will be applied to all streets within the boundaries of the Town of Ste. Anne. Exempt from these Town restrictions are Dawson Road, Centrale Avenue and Traverse Road (P.R. 210), as they will be restricted as required by Manitoba Highways & Transportation (click here for their website). Spring Road Restriction is 65% of normal load per axle units. The Town of Ste. Anne's road restrictions will come into effect on Friday, March 22nd, 2019 at 6:00 am. Should you have any questions regarding Spring Road Restrictions, please contact our office at 204-422-5293. Yard waste and combustible waste pick up will begin April 29, 2019. Yard waste “leaves, grass clippings, garden and flower bed vegetation and tree trimmings” Waste must be placed in paper or garden bags, with a maximum size of 76cm by 122cm (30” x 48”) and not weigh more than 20kg’s (45 lbs.). Yard waste will be picked up every Monday ONLY. Combustible Waste “tree boughs, branches, stumps, wood (unpainted/ unstained), lumber and includes cardboard”. Where practical waste shall be placed in paper bag, with a maximum size of 76cm by 122cm (30” x 48”) and not weigh more than 20kg’s (45 lbs. ), where not practical, waste will be bundled and securely tied and not exceed 122 cm (48”) in length and 92cm (36”) in width. Combustibles will be picked up every Monday ONLY. The Splash Pad is now CLOSED. Please be reminded that all cats and dogs must be on a leash at all times. Please remember to licence your cat or dog at the Town office. With a population of 2114 people, the Town of Sainte-Anne is a friendly rural community with a warm, close feeling among residents. The Town is proud of its bilingual heritage, and its rich history that dates back almost two centuries. The Town of Sainte-Anne is covered by prairie land to the west and the beginning of the wooded Canadian Shield to the east. The picturesque Seine River runs through the municipality and the Town of Sainte-Anne. The municipality is known as Dawson Trail Country because the historical trail ran through the town of Sainte-Anne on its way to Winnipeg. 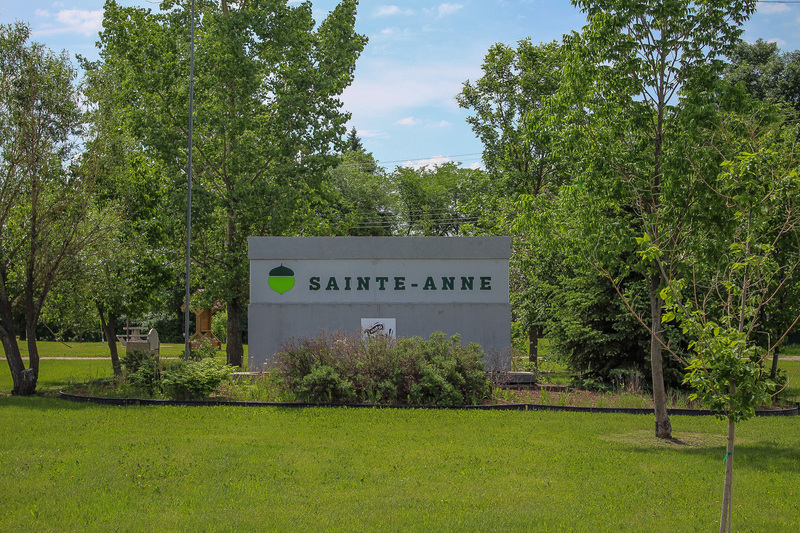 Sainte-Anne is largely a service-based community, which offers goods and services to the area at large rather than being a major agriculture centre. The economy is rooted in health care, education and tourism. The Sainte-Anne Hospital is a designated bilingual hospital offering a wide range of healthcare services, including obstetrics, surgery and acute in-patient care, 24 hour emergency services, palliative care and a full range of laboratory and radiological services. There is a cooperative community approach to health by combining the many resources in Sainte-Anne. The education sector is a major employer since the Seine River School Division office and four schools are all found in Sainte-Anne. The tourism industry also thrives in the area with the Quarry Oaks Golf & Country Club, Cottonwood Golf and Country Club and Oakwood Golf & Country Club drawing golf enthusiasts to the area. The Lilac Resort is another tourist destination in addition to the local campgrounds. Today, the Town of Sainte-Anne continues to serve the surrounding region with its recreational facilities, municipal and health services, and schools. The education and health sectors are the largest employers in the town. The Town is also a bedroom community for those commuting to nearby Winnipeg for employment.